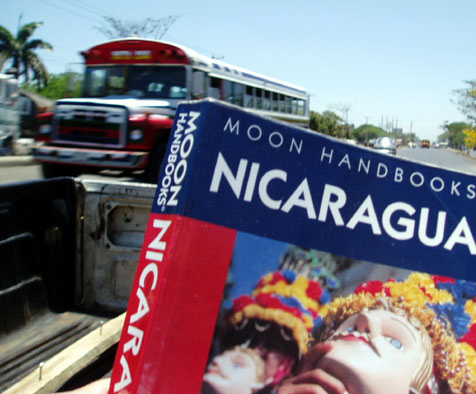 The cover of MOON NICARAGUA, 7th edition, on bookshelves this fall. 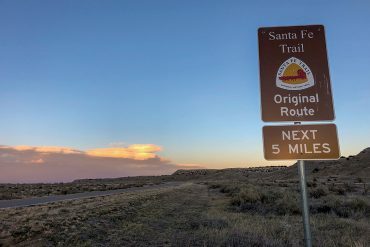 It’s been quite a journey since my coauthor, Randall Wood, and I researched and wrote that first edition back in 2001. Randy and I had just completed two and a half years in the U.S. Peace Corps, both of us serving in villages in the Departamento de Estelí. 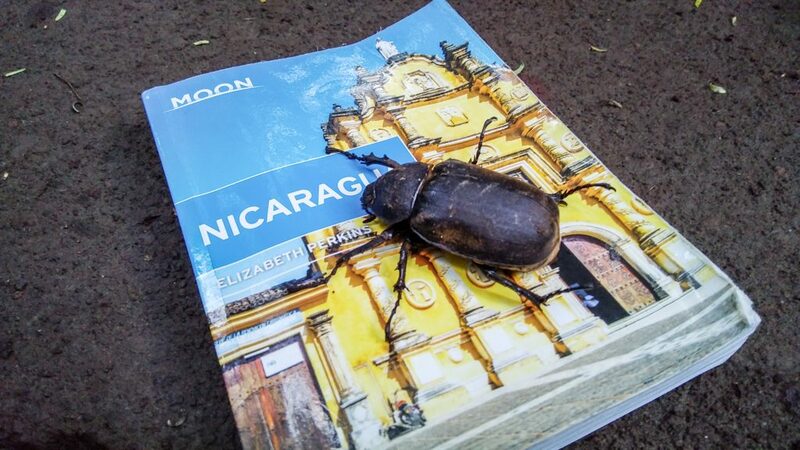 We’d gotten to know and love Nicaragua and wanted to share it with the rest of the world, which was just beginning to notice that the country was worth visiting. 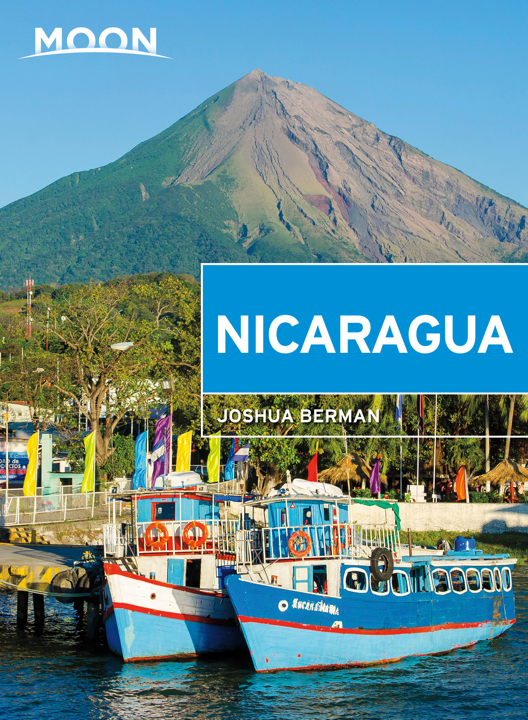 So we wrote a 500-page book on everything we’d learned about Nicaragua, as it related to the new wave of visitors we knew would soon be arriving. 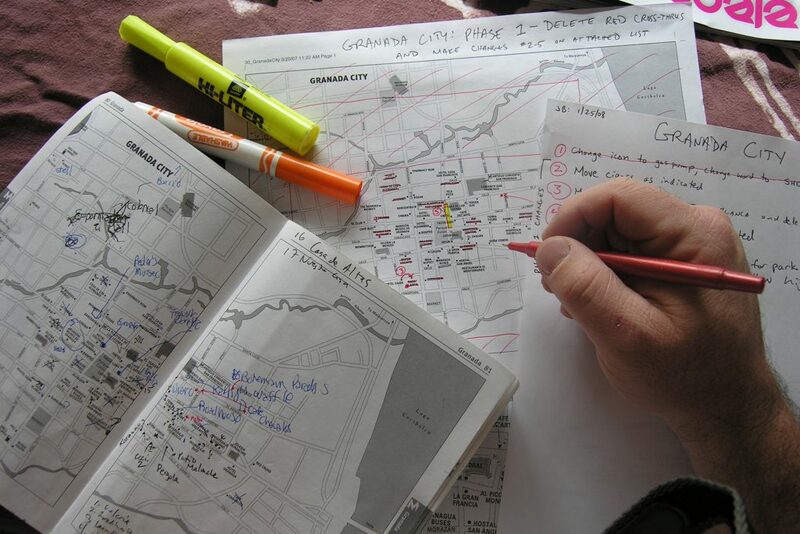 We continued to work on the book, updating it every few years for four editions. 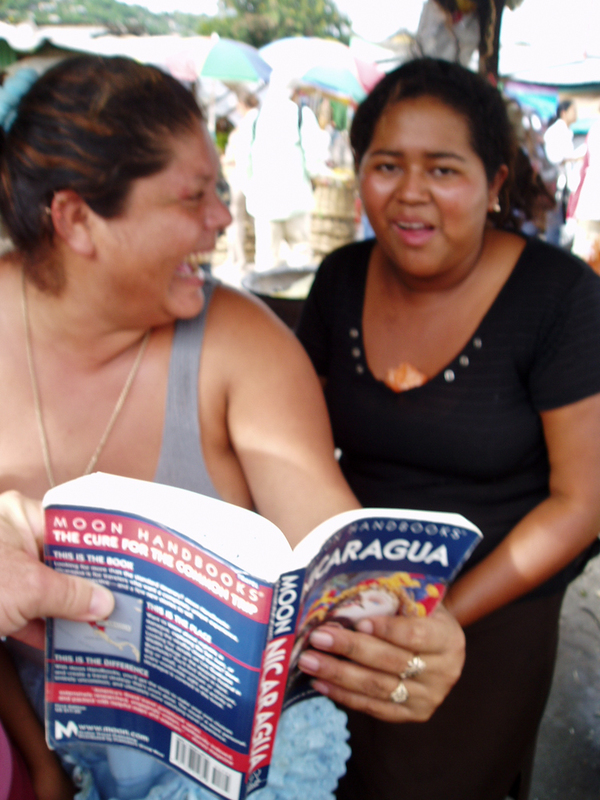 The 5th and 6th editions of Moon Nicaragua were updated by Amber Dobrzensky and Elizabeth Perkins, respectively. 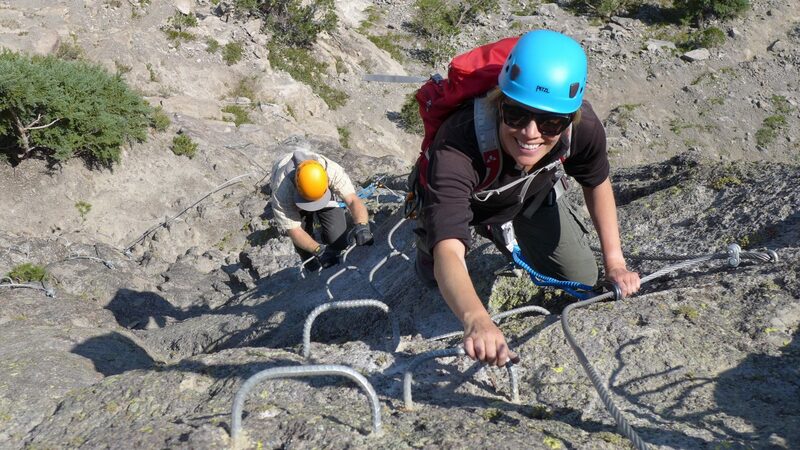 They did the hard legwork, fact-checking, and correcting that gooes into keeping the book alive and relavant. Now, I’ve got my baby back and could not be happier. 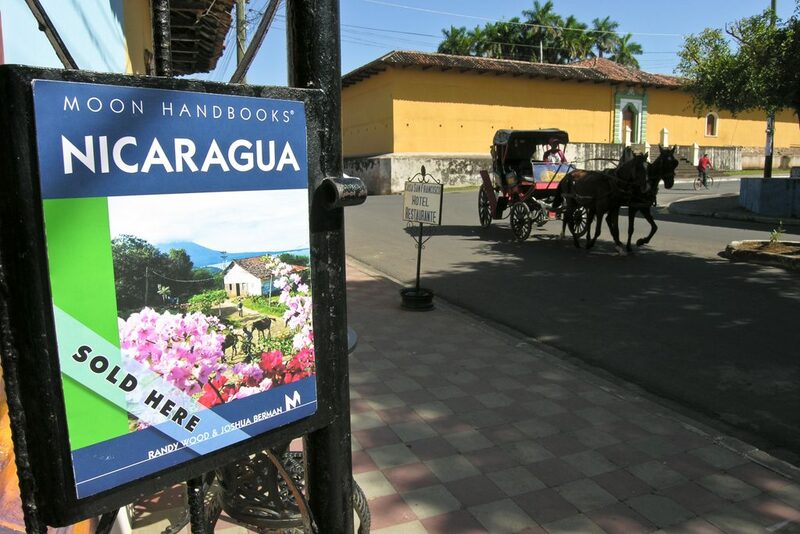 This time around, the book features continued detail on all the grassroots agritourism ventures around the country; coverage of the small, impressive luxury market that has taken hold; and a fresh look at Managua, Nicaragua’s crazy capital city, with an insider’s perspective thanks to my research assistant, Leonor Zuniga. 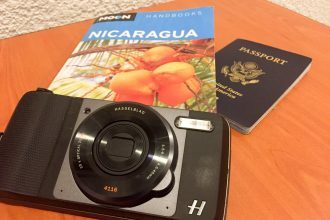 The goal is maintain Moon as the go-to guide for travelers looking for depth, accuracy, and informed ideas as they create their own adventures in Nicaragua. 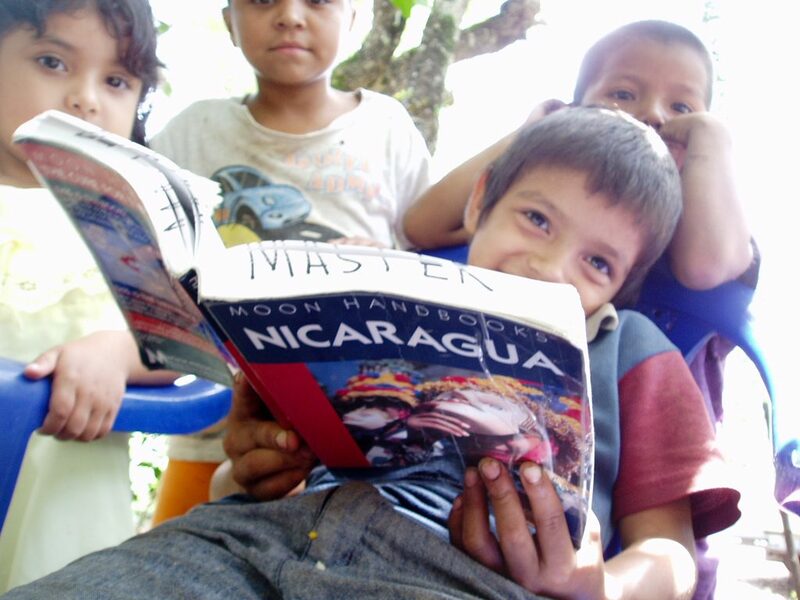 Stay tuned for release fiesta information as the date gets closer — both in Boulder and Nicaragua. 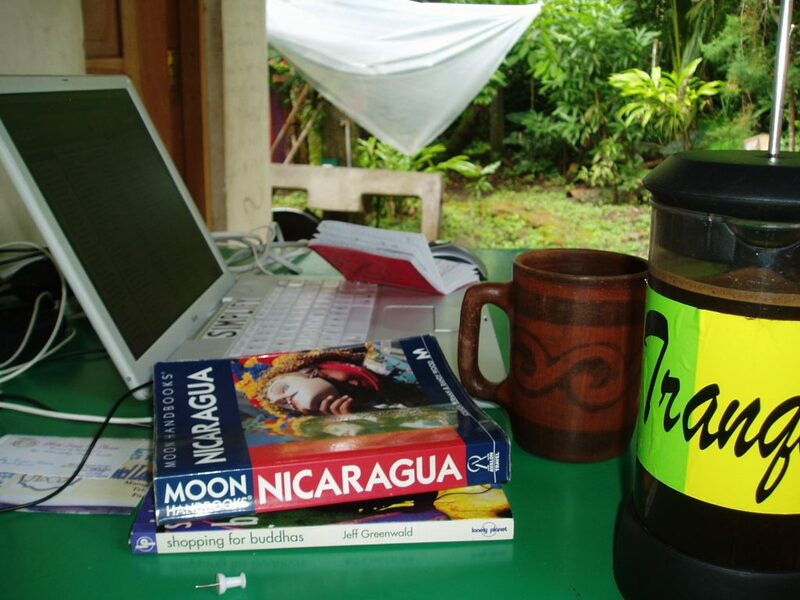 My “office” for edition two: a humble casita in San Ramón, Matagalpa that I rented for a few months to write. 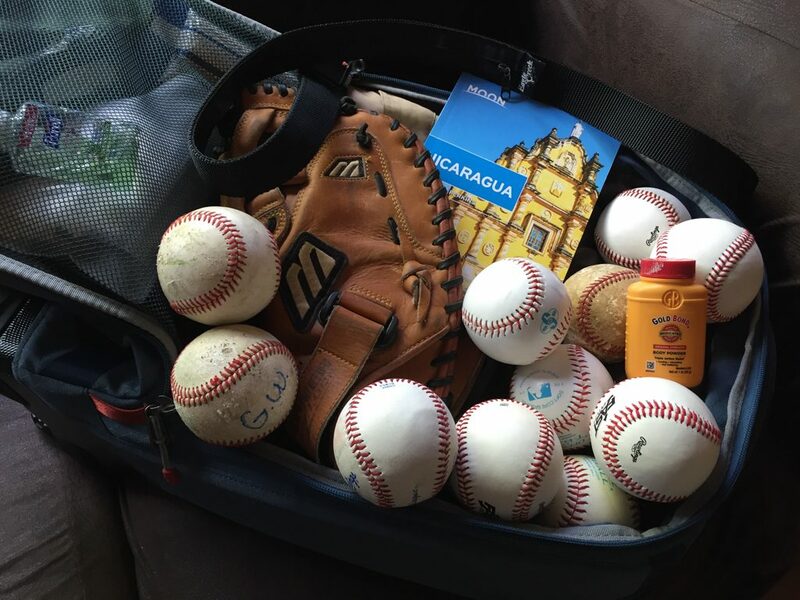 My favorite place in Nicaragua is the back of any pickup truck, driving down the highway. 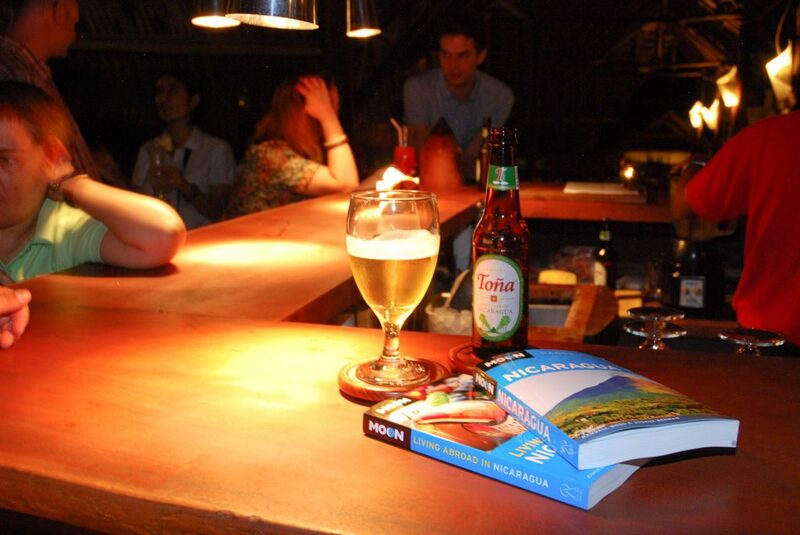 The book has often been for sale at Hotel Casa San Francisco (and Lucha LIbro Books) in Granada. 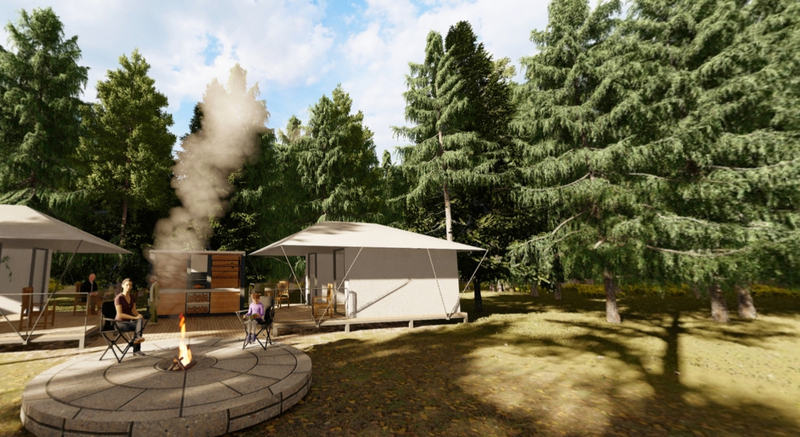 On a hacienda somewhere in Cosigüina. 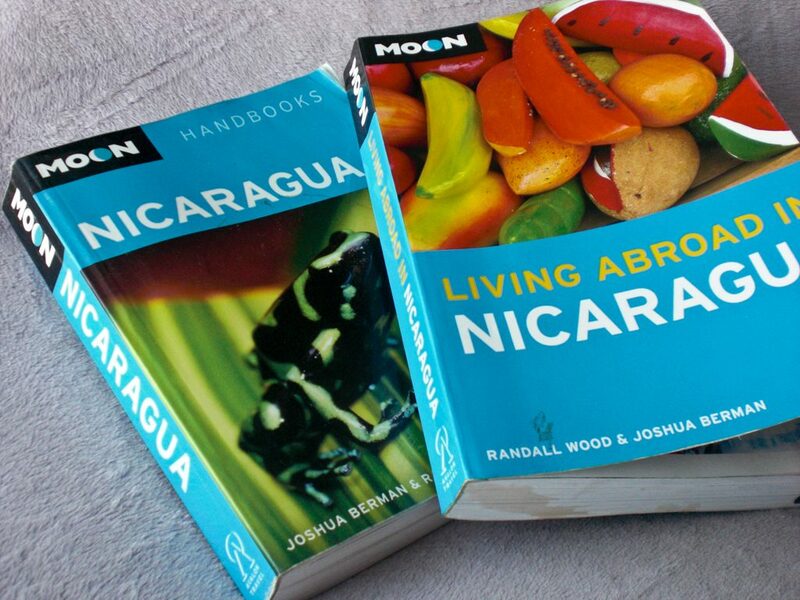 We also wrote two editions of Living Abroad in Nicaragua. 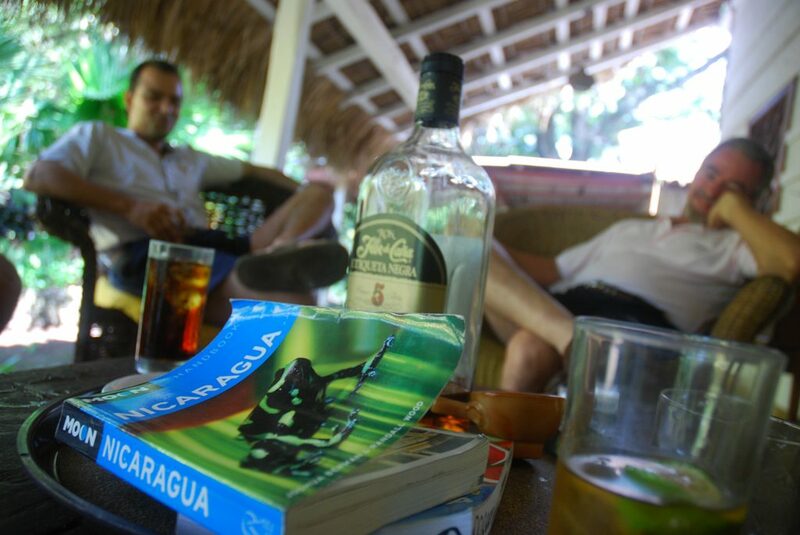 Buy a book, get a bottle of rum. Promotion at the Hotel Intercontinental. 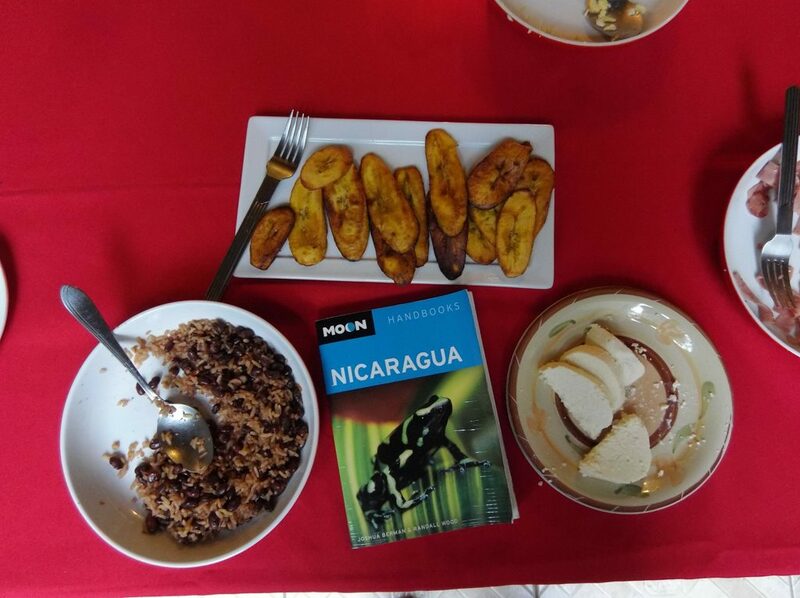 Typical breakfast with 4th edition in Matagalpa. 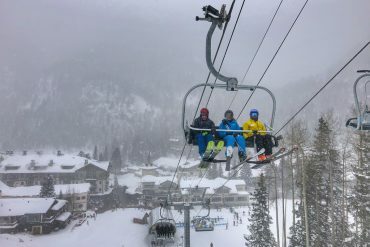 Wildlife and the 6th edition. Showing the Matagalpa bus station fritanga ladies their photo in the food section. 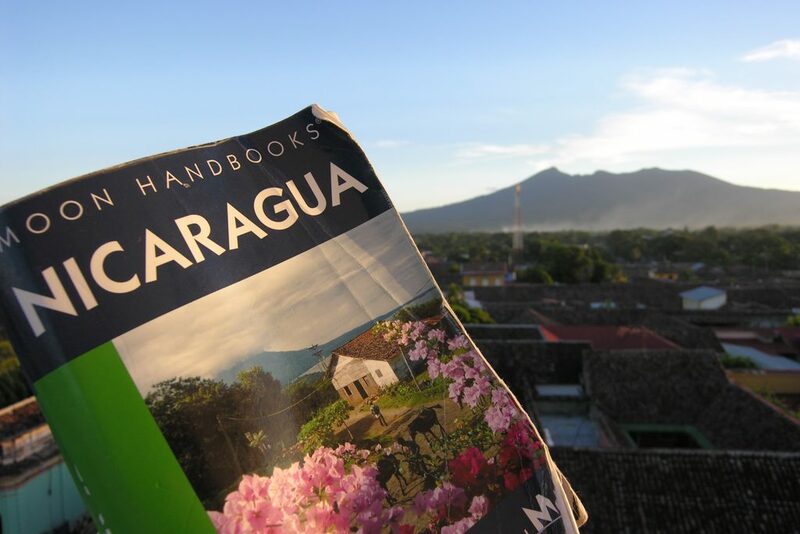 Gadling.com Podcast about New Nicaragua Book!